October 2017 marks the 30th anniversary of the founding of The old-time herald! Since the fall of 1987, when Alice Gerrard created, laid out, and hand-mailed the first issue, the magazine’s articles and interviews, news and reviews, festival guides, and discussions have become part of the glue that holds the old-time music community together. Above, a cover from 1990; below, Ms. Gerrard performs in 2014. 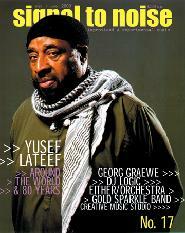 Established by Kjetil Maria Aase in 1990, RoJaRo is a continuously updated index of jazz and popular music magazines. This resource is intended to be inclusive, indexing little-known fanzines as well as well-known publications; it also presents hyperlinked lists of relevant magazines and record labels. 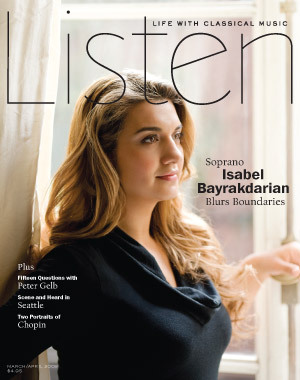 Launched by ArkivMusic in 2009, Listen: Life with classical music (ISSN 1947-4431) is a lifestyle publication covering all the ways that people’s lives are touched by Western art music, including profiles of people, places, and events and recommendations of recordings, books, and films. 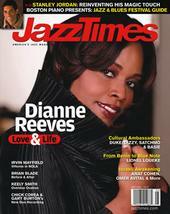 Edited by Ben Finane, the magazine was named one of the top 10 in Library journal’s “Best of magazines 2009”. 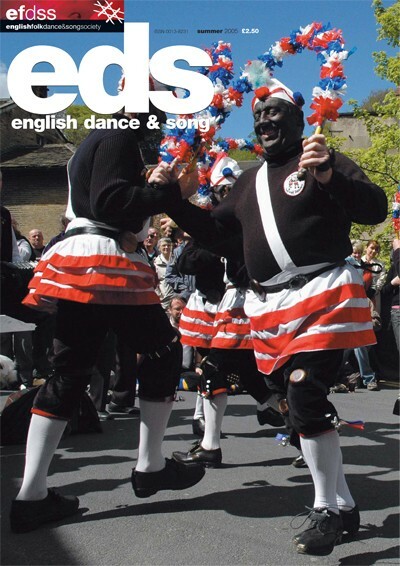 Published by the English Folk Dance and Song Society, English dance & song has appeared at least four times a year since it was launched in 1936. The magazine presents festival listings and other news, interviews with current English traditional and neotraditional performers, and reviews of current publications, as well as brief research-based articles that explore historical documents and current practices. The Society, which was formed in 1932 by the merger of the Folk-Song Society (founded in 1898) and the English Folk Dance Society (founded in 1911), also publishes a scholarly periodical, Folk music journal. Thanks to funding from the Canada Council for the Arts, the Ontario Arts Council, the Canada Magazine Fund, the SOCAN Foundation Publications Assistance Program, and the Canada Periodical Fund, Musicworks has been issuing articles, reviews, and scores focusing on Canadian music since 1978; since 1983, issues have included sound recordings as well. While Canadian composers and performers are most often featured, the magazine also covers Canadian traditional music in both native and non-native cultures. 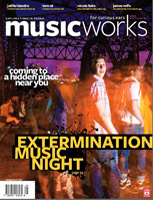 Recently Musicworks sent us a full run of their back issues; now we are confident that all of their articles are fully covered by RILM. Established in 1997, Signal to noise is a quarterly magazine devoted to improvised and experimental music, focusing on “the confluence of avant-garde jazz, electro-acoustic improvisation, and left-of-center modern rock, with an emphasis on independent production and promotion.” Recent issues have featured the saxophonist Marshall Allen, the groups Sonic Youth and Cheer-Accident, and the duo Mary Halvorson and Jessica Pavone. 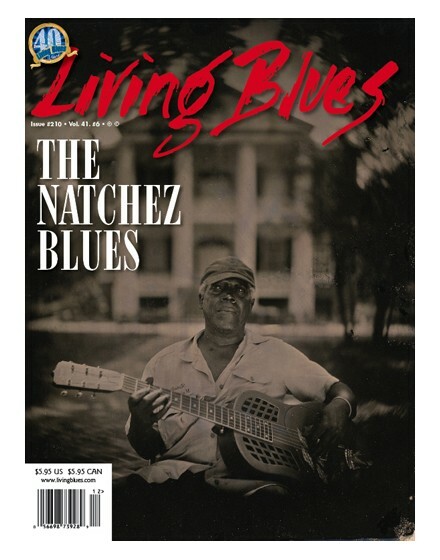 Blues magazines like Living blues, Real blues, and Blues revue attest to the continuing vitality of a genre that dates at least back to the 1910s, when the first blues songs were published. 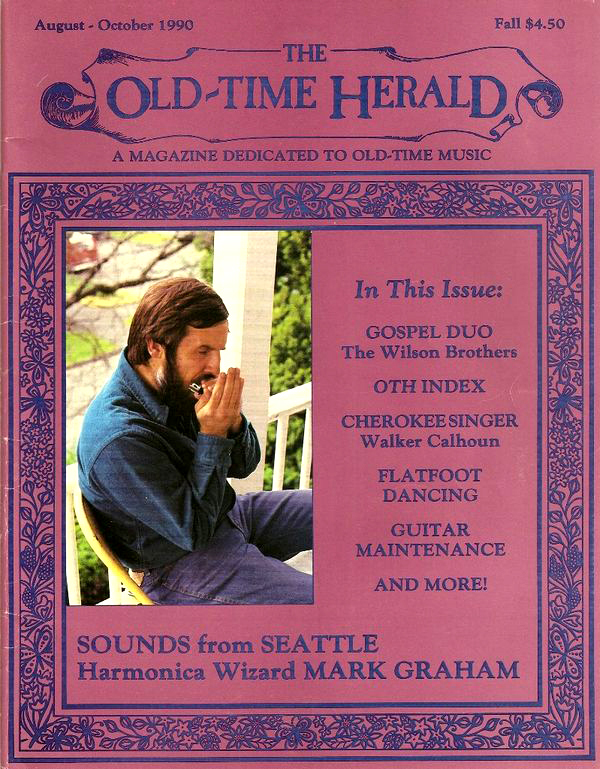 Unlike the recording companies that capitalized on the “blues craze” of the Roaring Twenties, these magazines are interested in all forms of African American roots music—including sacred and other secular traditions—and their modern counterparts, including zydeco, gospel, and so on, fostering a thriving community of enthusiasts. Etnoumlje: Srpski world music magazine (ISSN 1452-9920) has been published quarterly by the World Music Asocijacija Srbije since the summer of 2007. The magazine provides insight into the Serbian world music scene through interviews and profiles of members of Serbian bands and reviews of recordings, events, and publications, as well as regular features on Serbian traditional music. Its editor, Oliver Đorđević, defines it as a periodical for “theory, history, aesthetics, and criticism of world music, with the aim of promoting and advancing Serbian world music.” Etnoumlje also collects information for a future Web-based register of Serbian world music bands and artists. 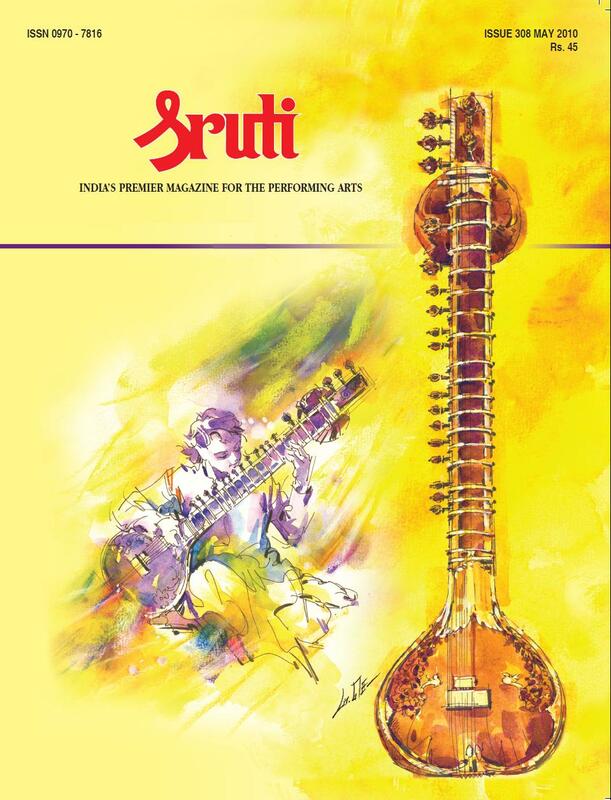 Sruti: India’s premier magazine for the performing arts (ISSN 0970-7816) is a Chennai-based magazine. While its primary focus is the South Indian Karnatak music world and its related dance traditions, most issues include at least one article devoted to the North Indian Hindustani tradition; it also carries occasional features on Indian folk traditions. Sruti tends to concentrate on events in recent musical life and profiles of current—and occasionally past—performers. RILM focuses on covering the latter, including the former only when sufficient historical interest is indicated. Research-based contributions from the independent scholar Sriram Venkatakrishnan (writing under the name Sriram V) are often included, providing notes on important persons or places in the history of the Karnatak tradition. Another regular contributor, S. Sankaranarayanan, writes philatelic reports on Indian stamps depicting musical subjects—a type of music iconography.